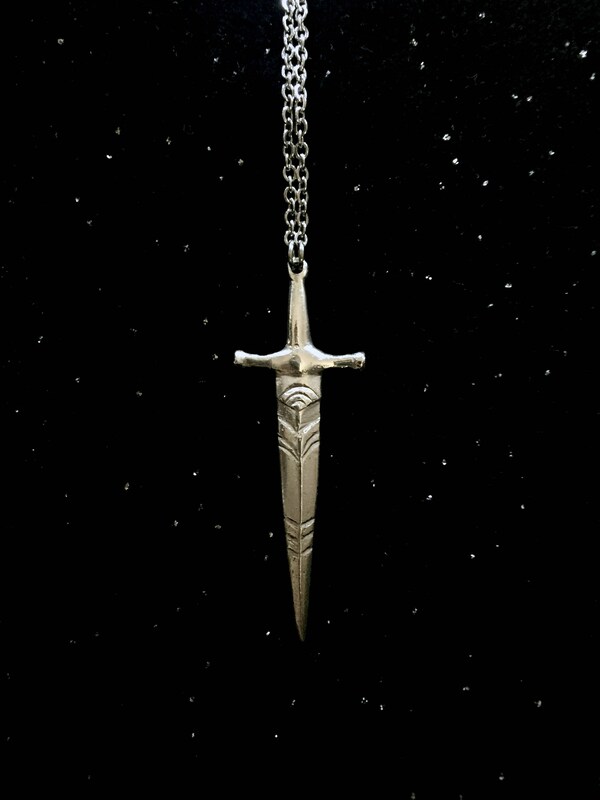 Solid sterling silver dagger necklace. Hand carved, carefully finished and polished. 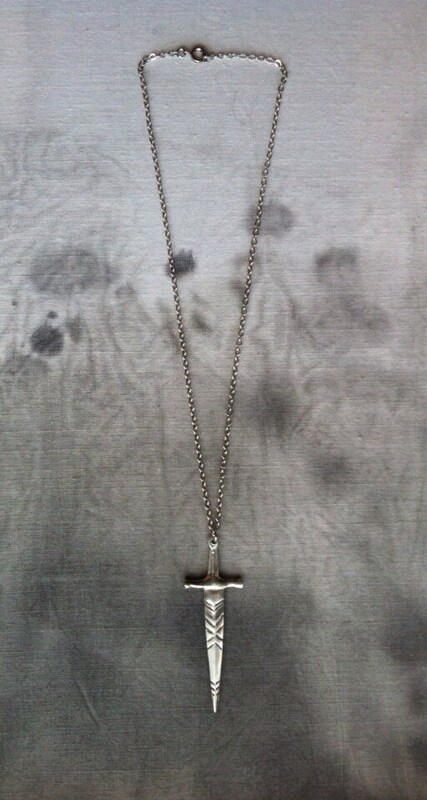 Available in dark patina or high silver polish. Dagger is approximately 2" in length. 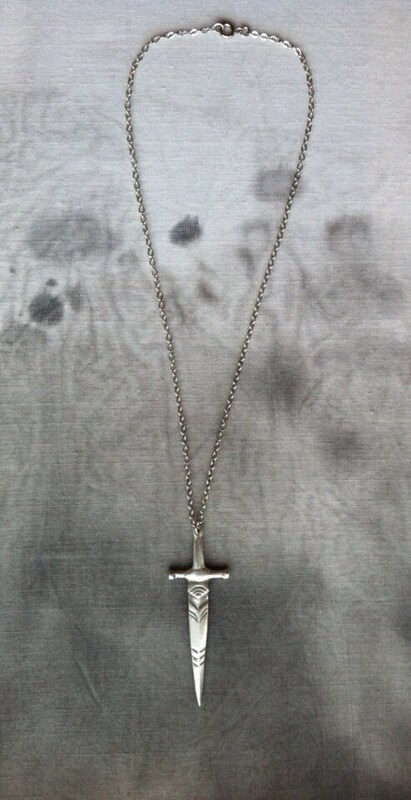 Available in a long silver chain, adjustable thin black rope or thick black choker.